With 4 other members of the VERON ICT Board, we gave a one-day WordPress training. How to use and make the most of our WordPress sites. Our club (VERON) had 63 departments, every department could get its own WordPress-based website. At the moment 32 departments, make use of this offer. We thought it would be useful to train each webmaster. To get the most out of their website. Using techniques like SEO. 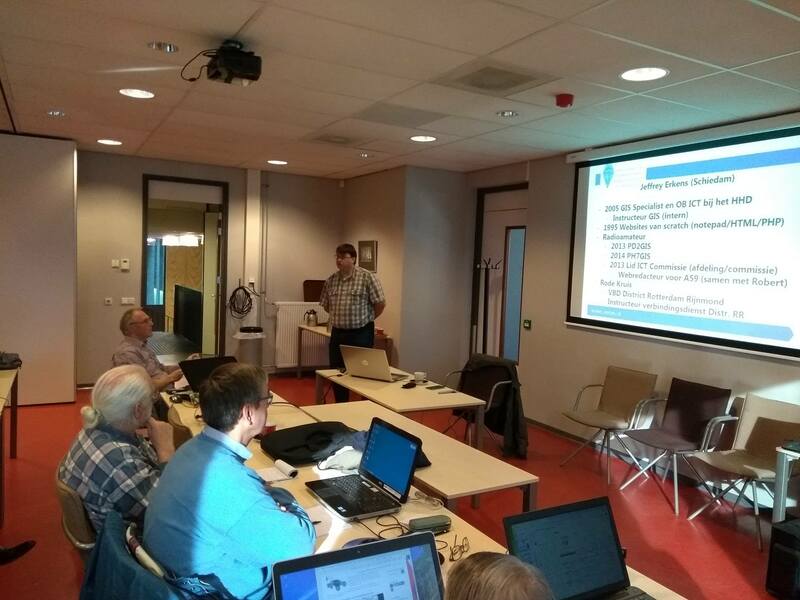 In a total of 25 people had come to Apeldoorn, from all over the Netherlands. At exactly 10 am the opening was given by our board chairman (Johan PA3JEM), he talked about how SEO had changed the main site and that’s attracting new members. Also, he talked about the power of social media. After his part, I started my mine by telling about WordPress and how to use it. After 1,5 hour, I had to stop because I ran out of time. And I haven’t even finished half of my part. There were a lot of questions about almost every part of WordPress. I could nearly answer almost every asked question. I promised the audience that I will continue my part at the end of the last speaker. After a short coffee break, my colleague (Johan PE1PUP) take over and told everyone about SEO (Search Engine Optimization). And how to take advantage of that. Then Bastiaan (PA3BAS) told the audience how to write an article following a couple of “simple” rules. And what you can and can’t write. At that point we had almost everything covered. The technique of WordPress, SEO and the writing itself. After Bastiaan, Fred (PA0FVH) started to tell how he experienced the transition from almost a raw article to a good formatted and high search engine rated post. Fred is one of the newest added members of our team. And made for his own department their website. So he talked about how he created this website. We had planned to stop around 16:00 hour. But it was already 15:15, and we had planned to do a hands-on session. Where we could answer more questions. But sadly we cancelled that part. So I could tell them about 1 more feature. Where a lot of questions were about. At 16:45 we get back to the car a drove back home. When I get home, I was tired but with a good feeling, YES WE DID IT!!!! And also our clubpresident (Remy PA0AGF) for making this WordPress training possible.